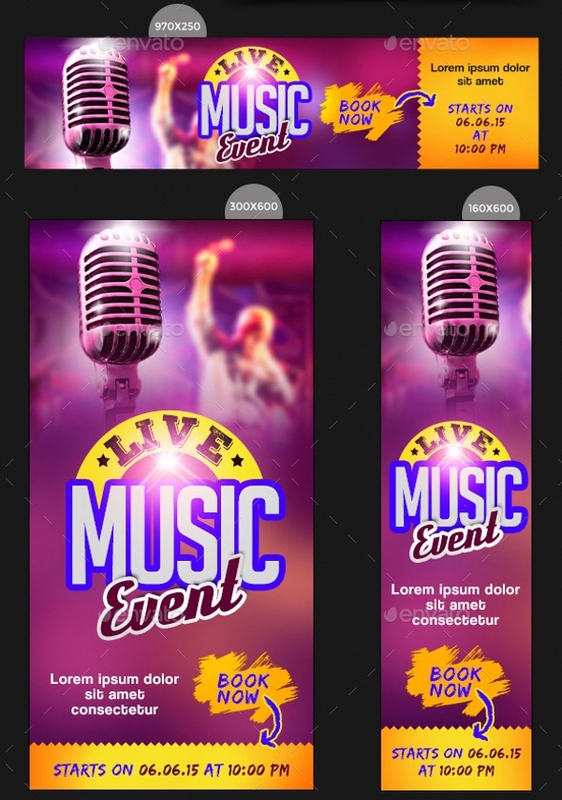 If you are an event banner designer then you can use the readily available event banner designs that will help you out to create some magical layouts. 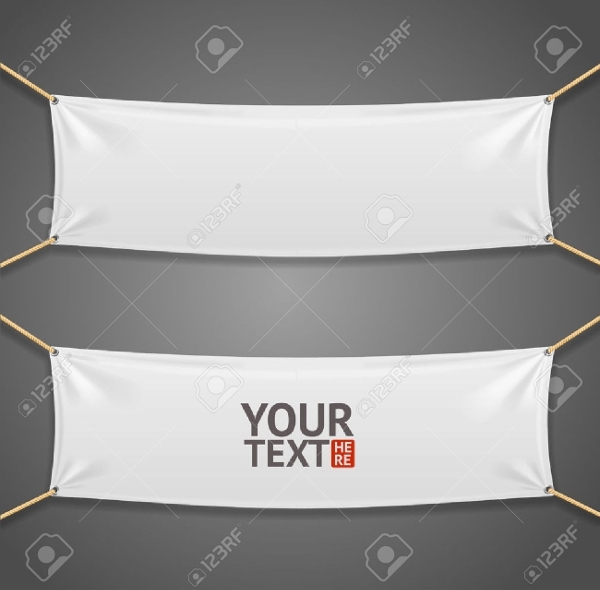 There is a wide variety of event and party banners on the internet that is based on different themes and concepts. Nearly all the event banner designs feature all the vital design elements, so you don’t have to put in many efforts to get the final results. 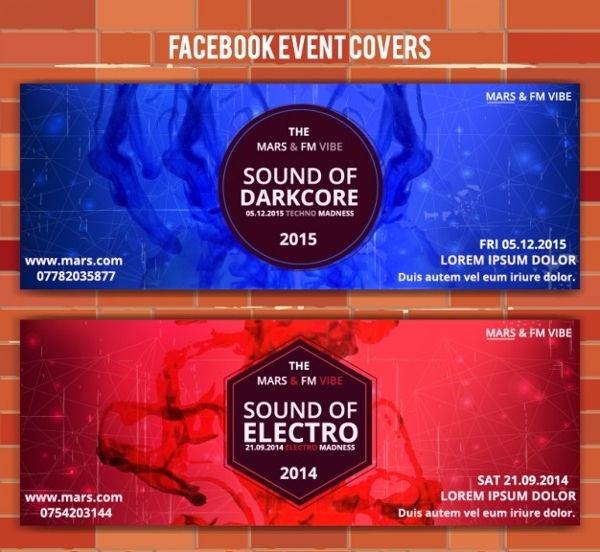 So, download the most amazing one from the below collection of modern event banner design! You may also see Birthday Banner. 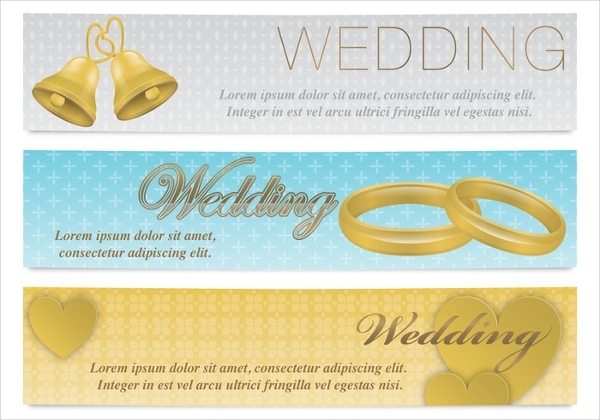 This is a lovely set of wedding event banner design, which will let you design wedding based projects in few minutes. It is full-color event banner that can grab the attention of the public easily. You can also see Welcome Banner. Here’s a perfect way to announce a football game or any other game using this eye-catchy event banner. 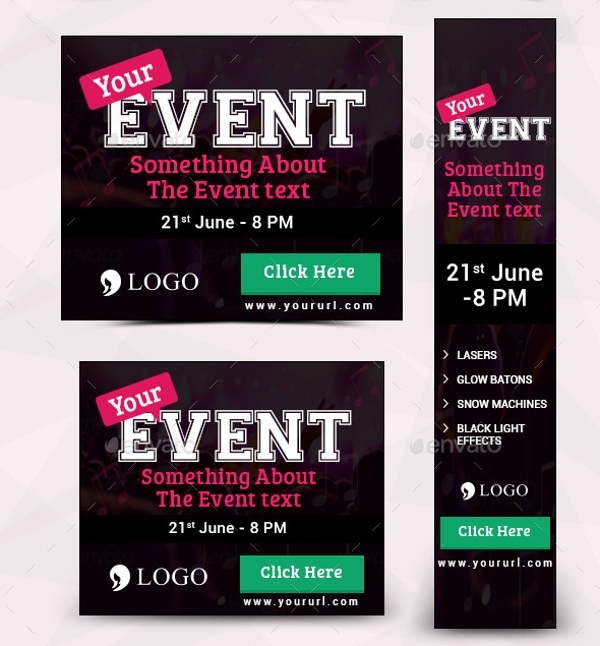 This event banner design comes in three variations that too for absolutely free, click the below link! 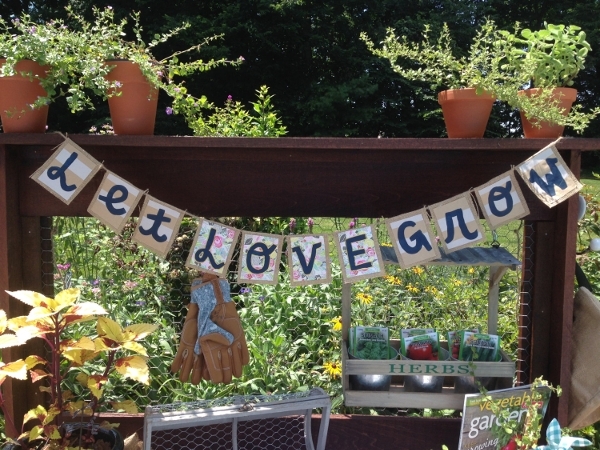 You may also see Grand Opening Banner. This Santa event promotion banner is all you need to advertise about the upcoming event and let everyone in the surrounding know about it. 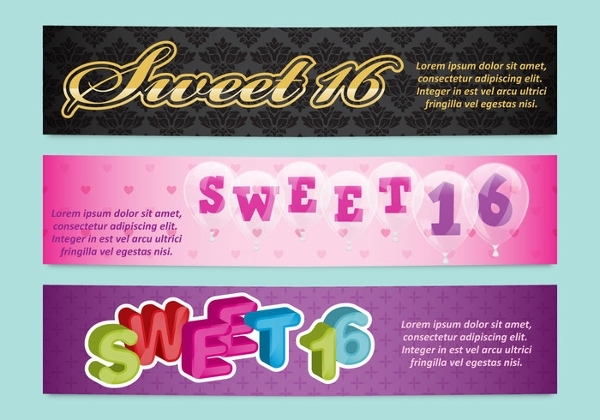 This wide custom party banner features enough space to display all the details of the party or event. 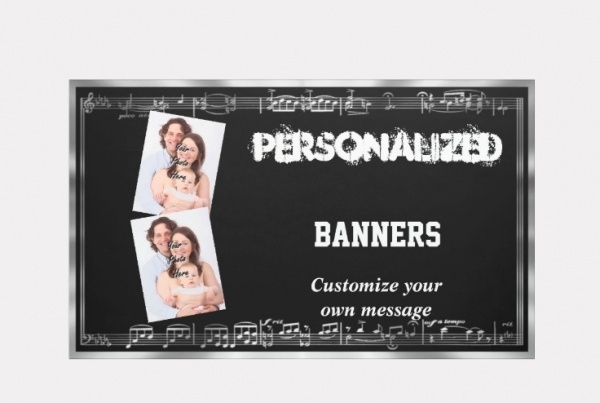 This is a dazzling music event banner design, which comes in 16 size options. It consists of smart objects that allow easy changing of images. It makes use of free font and it is fully editable. This a simple and elegant blank roll up banner suitable for every type of event. It contains enough space where you can add your text to promote your event in an effective manner. 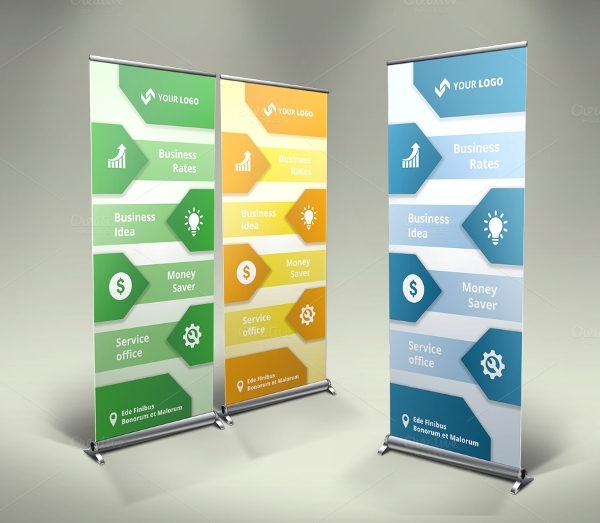 This is a set of event signs and banners based on finance. It showcases neat typography and clean layout. 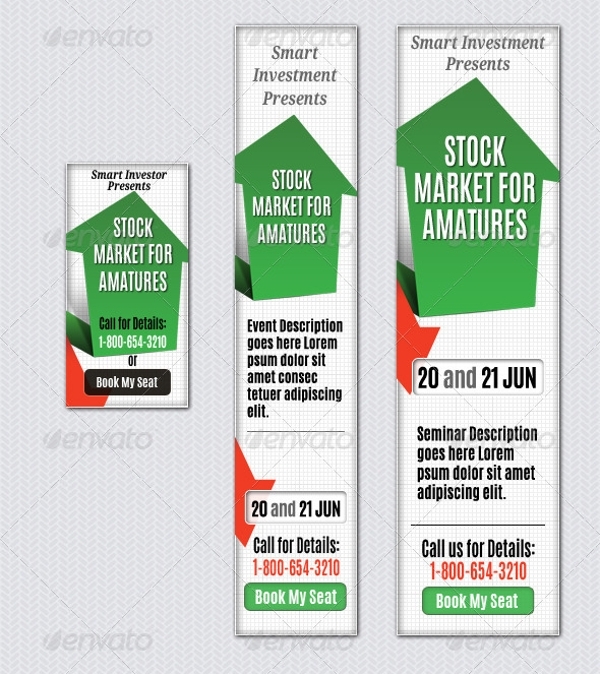 Be it any type of finance event, this editable event banner will be useful for it. This is a professionally designed event banner design suitable for the grand opening of outdoor events. It features silk ribbon and confetti. It is available in two colors pink and red. 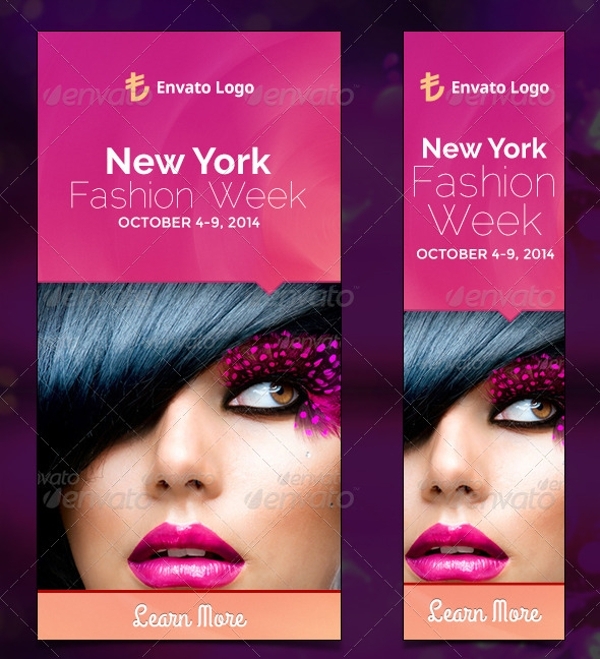 Make use of this stunning event banner template to promote your product and services in an exciting way. 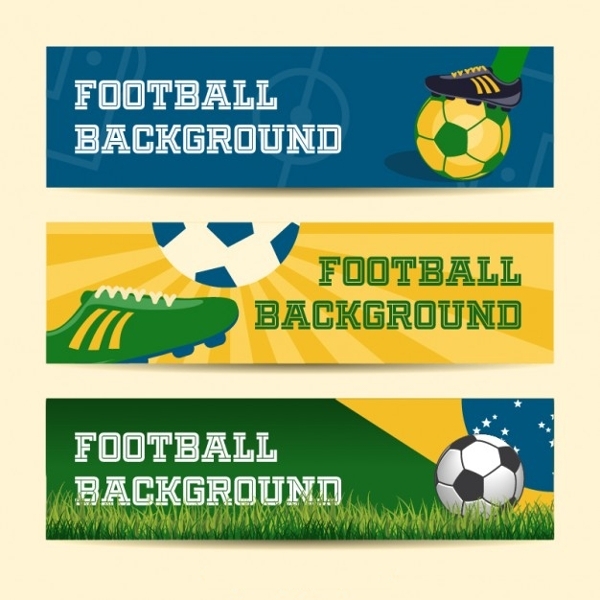 This set includes 16 full color event banners that are suitable for advertisement campaigns. 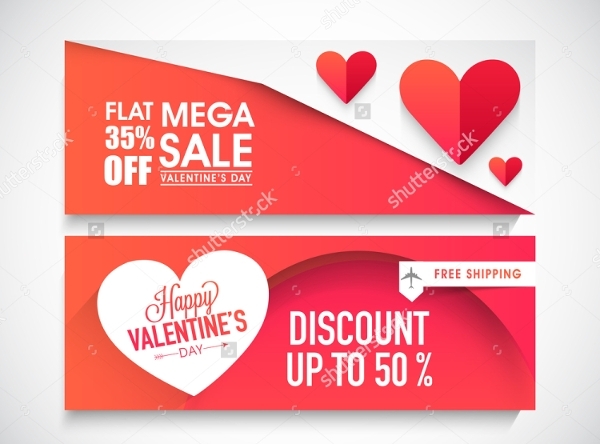 Announce the special or discount offer for Valentine’s Day using this event management banner, which is specially designed for mega sale. It can be used as the website header to grab the attention of the target audience. 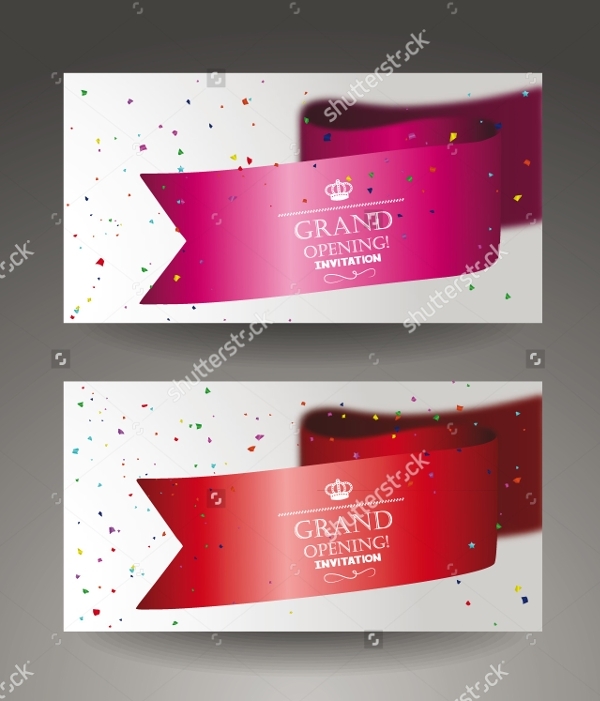 Here’s an amazing custom party banner set of 21 banner template that can come in for promotion purposes of the grand party. These banners can be used for Adroll and Google Adwords. 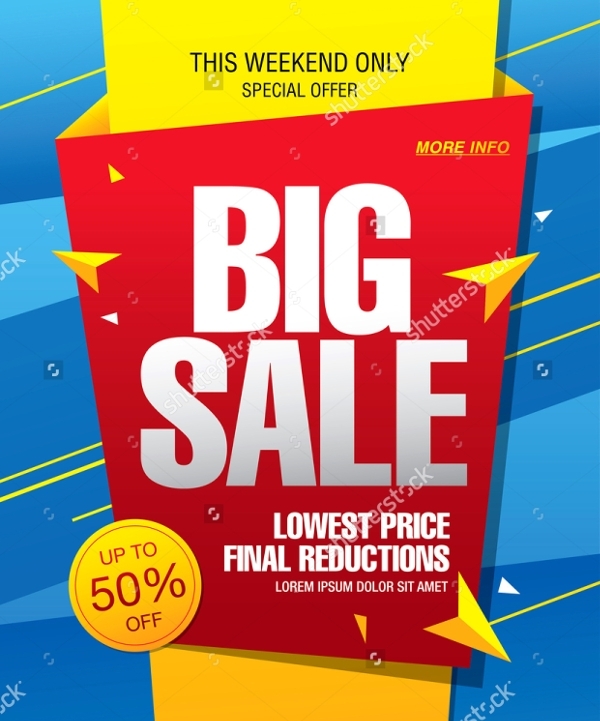 This red and yellow colored big sale event banner is the perfect one to bring your discount or special offer in the notice of the audience. This Vinyl Event Banner can be used as sale label and sale background. Here’s a set of three rollup banners suitable for corporate and business use. It permits insertion of banner, brands, images and text. It comes in fully editable PSD file. 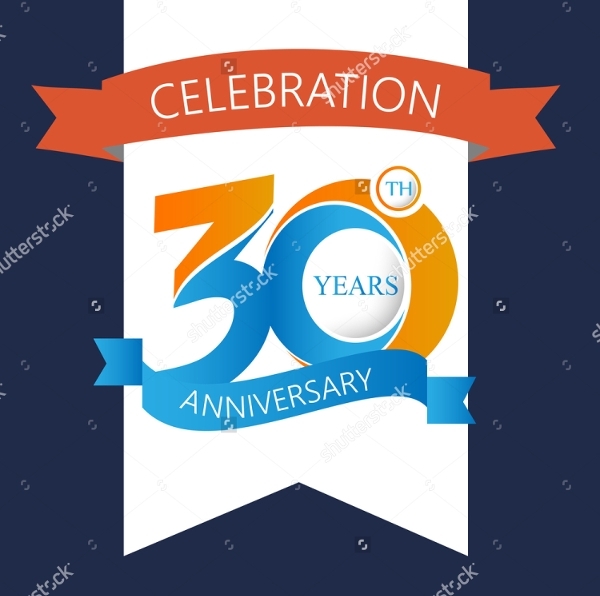 This appealing event banner is an ideal for promoting the celebration of 30 years anniversary of a company or business. It is professionally designed with high-resolution display to give out best results. Here’s a stunning Vinyl Event Banner a perfect one for the baby shower. Its vintage outlook will add an interesting element to your baby shower celebration. This red and blue event banners are the most attractive and eye-catchy event banners. It features a lovely pattern in background to highlight the text imprinted on it. 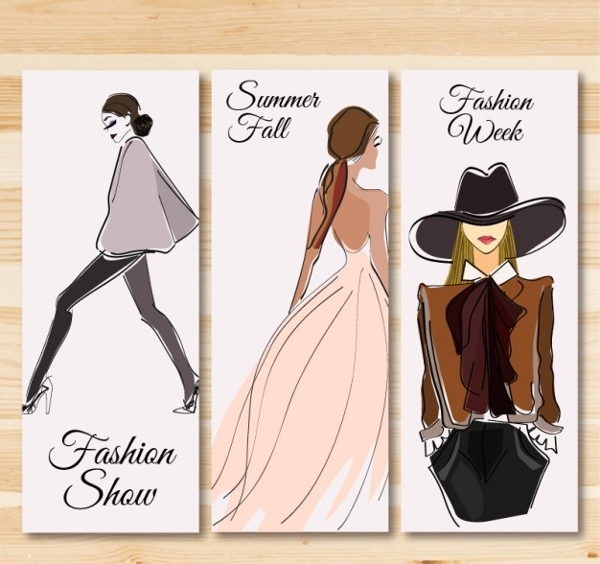 If you are in continuous need of event banner designs then it is suggested that you download all of these modern event banner design for your upcoming projects. It will make your work easier and faster than before. There is also a collection of music banner, which you should definitely check out today!